Playing a harmonica in its labeled key seems like the obvious thing to do. 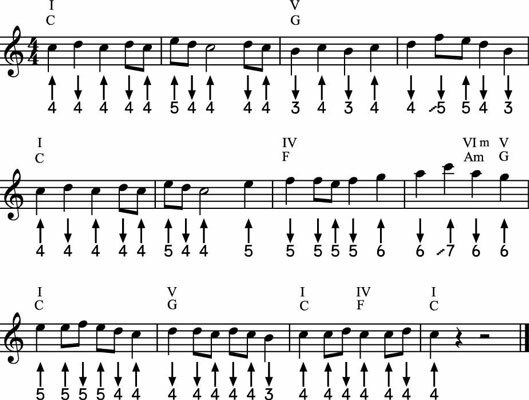 Here are three tunes that explore how you can use first position in folk-influenced popular songs. “Kickin’ Along” lets you explore first position while playing an easy melody with a happy rhythmic groove. Songs that fit that description might include the Rolling Stones’ “Sweet Virginia,” the Eagles’ “Peaceful Easy Feeling,” Simon & Garfunkel’s “Feelin’ Groovy,” and many others. Neil Young plays first-position harmonica in a rack on some of his acoustic songs. 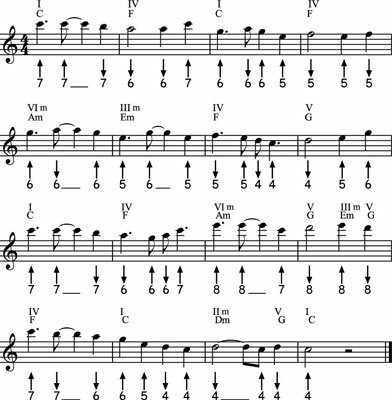 However, he often gives them a unique twist by adding the VI chord, a minor chord, to the I, IV, and V chord that appear so often in rock songs. 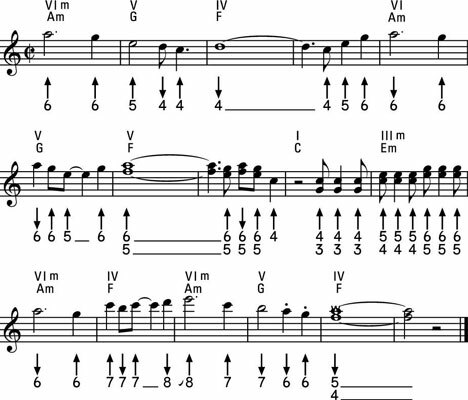 That added chord allows him to tip the feeling of the song back and forth between major and minor and gives his solos an interesting character. “Youngish Minor” is inspired by Young’s harp solos on “Heart of Gold” and the acoustic version of “My My, Hey Hey.” In fact, you can play “Youngish Minor” as a harmonica solo over “My My, Hey Hey” if you use a B-♭ harmonica instead of the C-harp used here. Bob Dylan has endured as the icon of the folk-rock movement of the early 1960s, but he had plenty of company. Still, his naïve-sounding, hard-to-duplicate harmonica, largely played in first position, remains an unforgettable component of that era’s music. “Morning Boots” is inspired by some of his songs but also by songs from such artists as the Seekers.